1. To be the primary meeting place for European executives to meet partners from Latin and South America. 2. To explore new ideas and ways of collaborating across music and tech to discover and capitalise on new revenue opportunities. Scott Cohen ​(The Orchard), Joe D’Ambrosio ​(JD Management), Ruth Barlow ​(Beggars), Stephen Budd (Stephen Budd Management), Alex White ​(The Next Big Sound), Christof Ellinghaus ​(City Slang), Simon Raymonde ​(Bella Union), Bruce Haughton ​(Hypebot), Charles Caldas ​(Merlin), Jeremy Norkin (​The Agency Group Latin America), Rob Challice ​(CODA), Oliver Brest (Hoerstmann / Lollapalooza Berlin / MELT), Paul Hitchman ​(Kobalt Artist & Label Services), Dr. Charles Kriel ​(12 Stories Tall), Jim Carroll (​Irish Times / Hard Working Class Heroes Ireland), Mark Jowett ​(Nettwerk Records and Publishing), Benji Rogers ​(Pledge Music). BIME has hosted everyone from Bob Lefsetz to Matias Loziaga (CEO of Pop Art in Argentina), to Fuji Rock programmer Jason Mayall and Tomas Cookman from Cookman Records. It was featured in Musicweek, Billboard, The Lefsetz Letter, MusikWoche and across Spanish press, quickly becoming in its first two years the most international and important music conference in Spain. Hosted in the versatile BEC Exhibition Centre in Bilbao and featuring a number of intimate delegate experience activities through Bilbao’s renowned old town, BIME is the ideal conference to meet like minded collaborators, new visionaries and simply discover new, previously undiscovered business opportunities. BIME has attracted over 1200 delegates in its second year, hailing from 17 countries. Over 100 top executives from across music and tech have attended including The Orchard, Pledge Music, Cookman, Eurosonic Noorderslag, Shazam, Big Sync, Berklee Music College, UK Music, Music Publishers Association, TIGA and Music Ally. In addition, BIME has grown exponentially in Spain in its two years, attracting the most expansive Spanish music industry contingent in Europe. This is coupled with a dedication to include at least 50 high level Latin and South American executives each year, from Nrmal Festival, Epicentro, Osesa, Portomusical, Pop Art, Charco and many others. For more information and to register, visit www.bime.net. 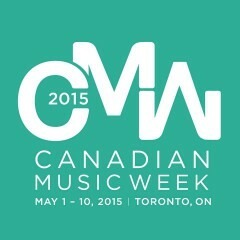 Canadian Music Week is Canada’s largest and most influential music and media conference and festival. Attracting delegates from all over the world, it is a convergence point for artists and industry to engage in current issues; gain insights on trends and digital innovations; network; and build lasting relations with tomorrow’s leaders. Content covers the spectrum of sound recording, new media, broadcast, live touring, film, songwriting and publishing, distribution and emerging technologies. 2015 programming includes: celebrity interviews with famed manager Johnny Wright and songwriter/entrepreneur Billy Mann; keynotes from Ticketmaster’s Jared Smith, Warner/Chappell Music & Warner Bros. Records’ Cameron Strang, Mushroom Group’s Michael Gudinski, Kobalt Music’s Willard Ahdritz, and NMPA’s David Israelite; the CMW Sync Summit featuring face-to-face pitch sessions with leading music supervisors in advertising, gaming, film, and TV; the International Festival Network – Canada’s largest gathering of the world’s top festival promoters and buyers; plus a Spotlight on Australia and Focus on New Zealand. Festival performances span ten nights of activity featuring: The Jesus and Mary Chain, Faith No More, Of Monsters and Men, The Psychedelic Furs, Kiesza, Billy Talent, Lights, Xavier Rudd & The United Nations, Alvvays, Noel Gallagher’s High Flying Birds, John Mellencamp, Magic!, Daniel Lanois, Colbie Caillat, Scott Weiland and the Wildabouts, and hundreds more. For more information and to register, visit www.cmw.net.